NIKE GIVE BRAZIL NEW FOOTBALL BOOTS IN STYLE! 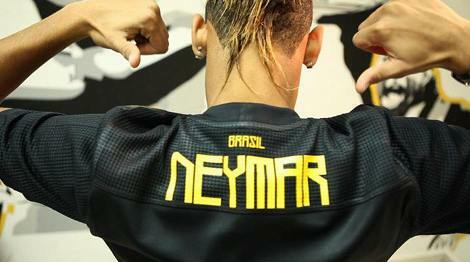 NIKE GIVE BRAZIL NEW COPA AMERICA GEAR IN STYLE! As if we all didn’t know that Nike are the undoubted masters of flash, they’ve kitted out the Brazil National Team with their new football boots and shirts in the classiest way possible! 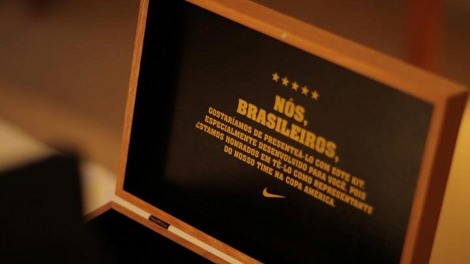 Presenting each of the team members with a personalised wooden box containing their new personalised football boots and player-issue shirts, Nike passed on a personal message of support from the people of Brazil inside each container. 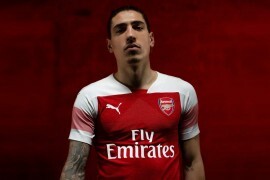 “We Brazilians would like to present you with this kit. Specially developed for you as we are honoured to have you representing our team in the Copa America.” is printed in gold on the inside of each lid, to inspire each A SeleÄ‚§Ä‚Ĺo member when they put on their Nike gear before each game. 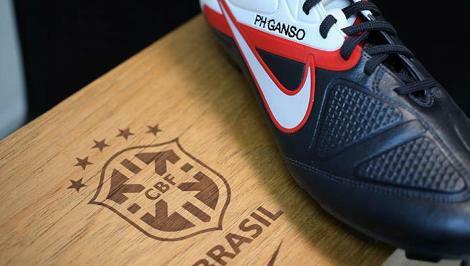 This lucky recipient is Ganso, the lynchpin at the heart of the Copa Libertadores-winning Santos side and CTR360 II wearer. 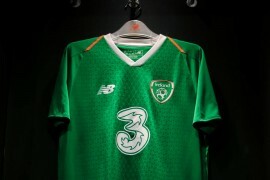 Still seeking out his first international goal, the attacking midfielder will be keen to impress at his first tournament with the senior side. 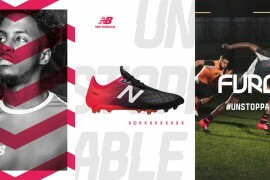 Maicon will be looking to put his disappointing campaign with Inter Milan behind him as he prepares himself for the Copa America this weekend, and slipping into a brand new pair of football boots could be just the tonic! A T90 Laser III wearer through-and-through, the powerful full-back will be relying on his Navy/Volt cleats to put him on target in Argentina! Having impressed in some of the best leagues in the world in his career, it’s hard to believe the baby-faced Robinho will be looked upon as one of the most experienced players in the relatively fledgling Brazil squad. 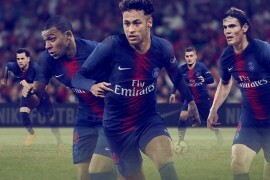 Evidently having booked himself into the same hair stylist as team-mate Neymar, we reckon Robinho would look boss on the pitch in this black kit – though it’s likely just a training shirt. Speaking of that black shirt – look who else got one! One of this summer transfer market’s hottest properties, the Mohican’d One will be looking to live up to the hype in this summer’s tournament. Adriano, Pato and David Luiz also received their own boxes with football boots and kits, giving Nike an impressive line-up of stars in the Brazil camp! How do you think the Brazilian National Team will do in this year’s Copa America? Is this the perfect antidote to a disappointing World Cup? Or will Messi & Co.’s home advantage prove too much?